Recently one of my graduate students from almost 20 years ago, Carole Summers Morris, contacted me. 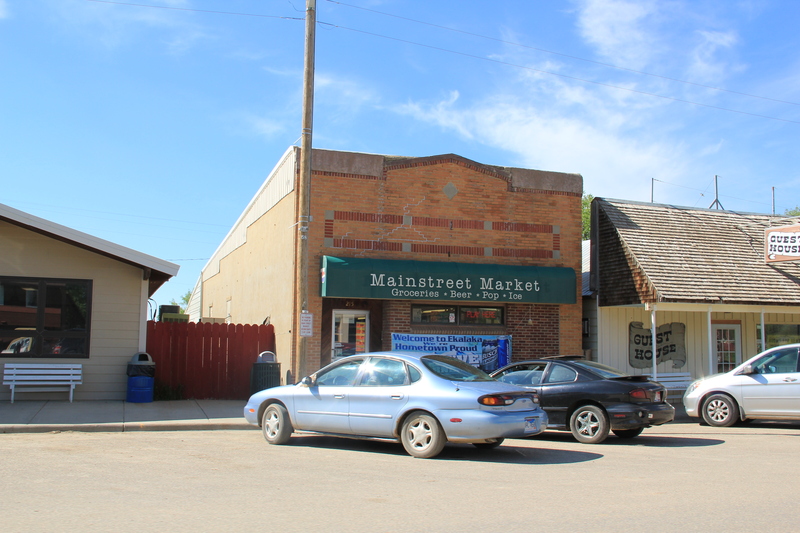 Carole had just discovered that her family had roots in Carter County, Montana–and she wanted to know if I had ever been in Ekalaka. I told her yes, in 1984, as documented by the postcard below I picked up on that trip, and most recently in 2013. I pointed Carole to my December 2014 blog post on Ekalaka. When I visited that post itself, to remind me what had caught my eye in Ekalaka in 2013, I found out that I promised another post on the area–and had never done it. So, to honor that initial promise and to show Carole more of the town, here is Ekalaka revisited. My big omission in the December 2014 post was to say something about Medicine Rocks State Park. 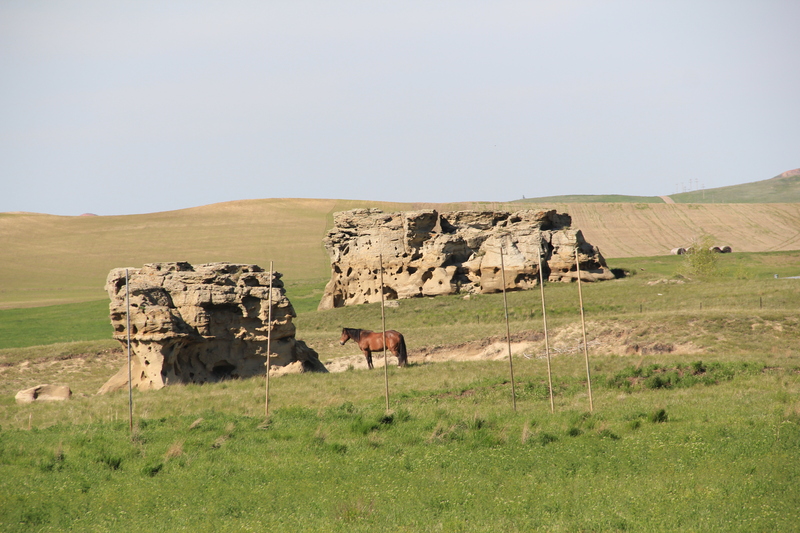 As I drove south on Montana Highway 7 to Ekalaka in 1984, nothing quite had prepared me for this collection of wind-carved rocks lining both sides of the highway. Medicine Rocks State Park in 1984. The same exposed boulder in 2013. I immediately thought that here was a landscape of both natural beauty but also of great cultural significance. In A Traveler’s Companion to Montana History (1986) I noted that “The Sioux called the country Inyan-oka-la-la, or “rock with hole in it.” The Medicine Rocks, which stretch for several miles, have ceremonial and religious significance for Montana Indians. It is a place where they often gathered to pray to the Great Spirits, and to ask for spiritual guidance. Within the park, several stone circles mark the location of Native American camps, and there is a large medicine wheel… In the hills visible on the horizon, Indians found sources of red and blue pigments for the ceremonial paints they work at the Medicine Rocks.” The text included the black and white image above. In 1984 I thought that this place would surely become Carter County’s first National Register nomination–that still has not been achieved. In 2013, I also picked up a rural church and cemetery that I somehow missed 30 years earlier, the Medicine Rocks Church, which overlooks the park. The cemetery is particularly at a beautiful site. bank, which is now restored as city offices and is the first property to be listed in the National Register of Historic Places. Nor did I include the old hotel building below. 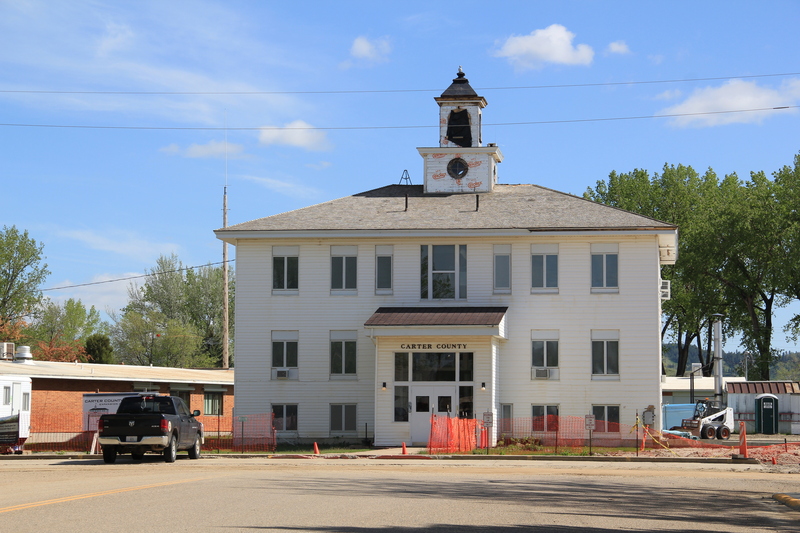 I mentioned the existence of the nursing home next to the county courthouse–an arrangement of space not seen elsewhere in the state–but did not include a photo of the c. 1960 Dahl Memorial Nursing Home. Indeed I did little with the town’s domestic architecture, even though several buildings are noteworthy, as commercial buildings become residences and then historic houses become tourist-oriented businesses, as seen above. I didn’t even include all of the buildings at the excellent Carter County Museum, such as this well-crafted log residence from the early settlement period, the Allenbaugh Cabin, dated c. 1882-1883, probably the earliest surviving piece of domestic architecture in the county today. When I visited the museum in 1984, the cabin had been acquired but it was not restored and placed for exhibit until the late 1990s. 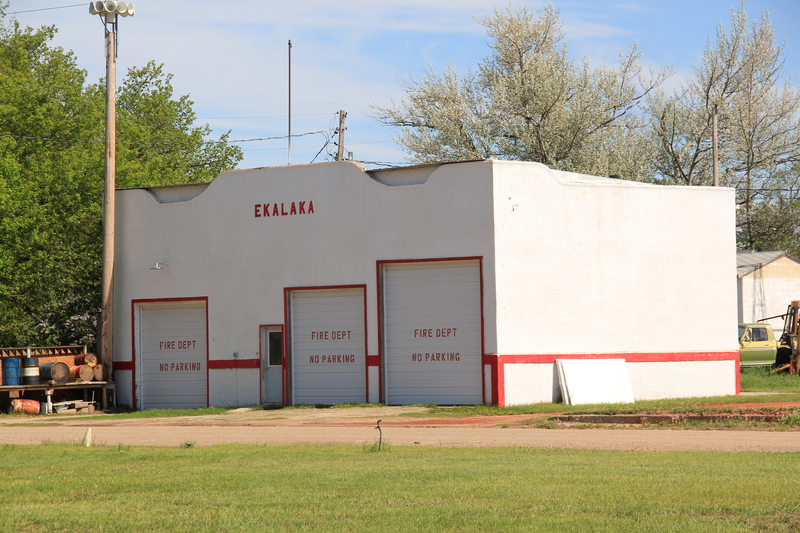 So thanks Carole for prompting me to return to Ekalaka–a remarkably friendly place, and one where a tiny town in a wide open landscape still speaks to the roots of Montana history and culture. 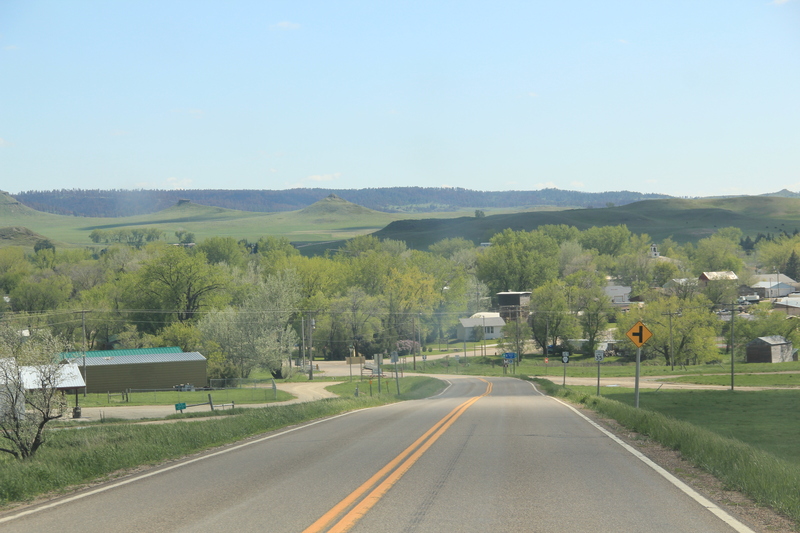 Traveling south along Montana-Dakota border on Montana Highway 7, Ekalaka appears as an oasis of settlement, as it lies almost hidden away along Russell Creek. 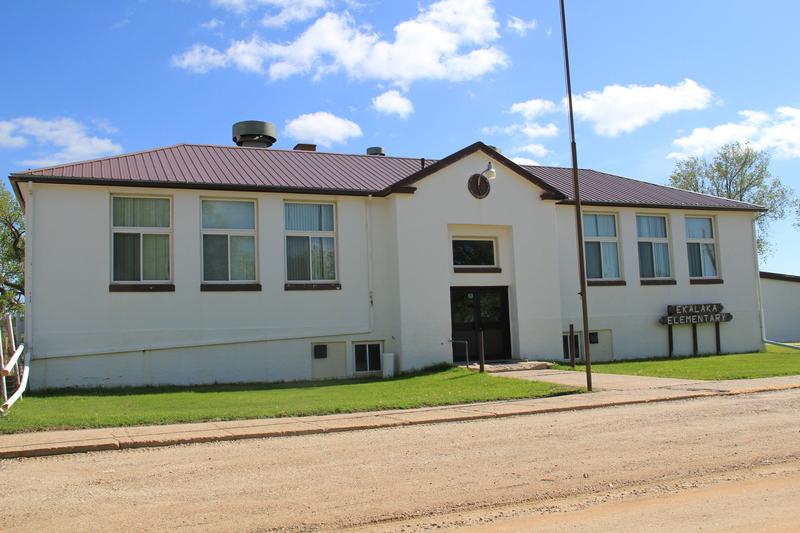 The seat of Carter County, the town is perhaps best known for the Carter County Museum, a solid institution of natural and local history. 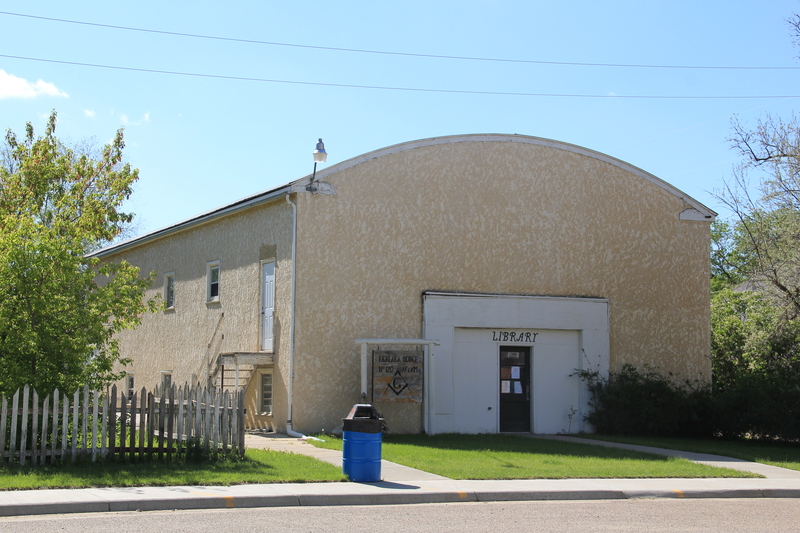 Since I had last visited 25 years earlier the museum facility had grown substantially–while the town had slipped to just over 300 residents, according to the 2010 census. 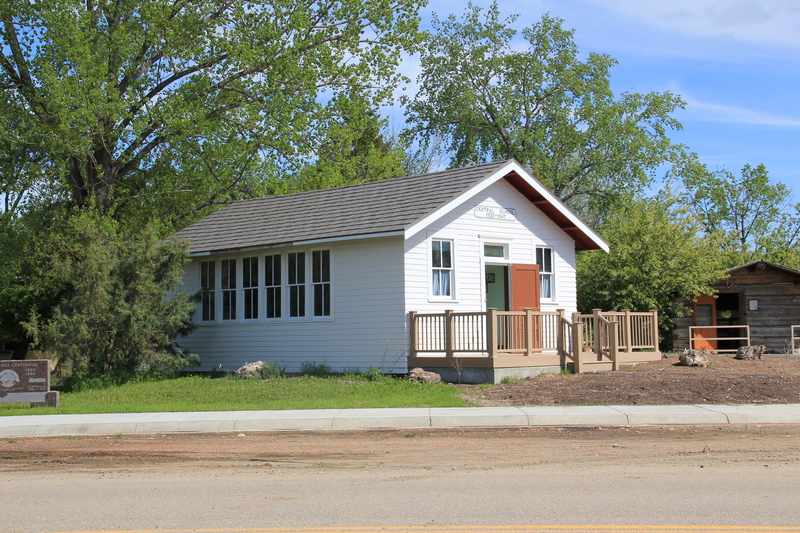 The museum is best known for its dinosaur collections but it also has rich local history collections, and features one of the county’s homesteading era schools moved to the grounds. Central School operated from 1920 to 1947.
town, creating a large public space that is shared by the county’s two demographic extremes, represented by the elementary school and a more recent county nursing home. 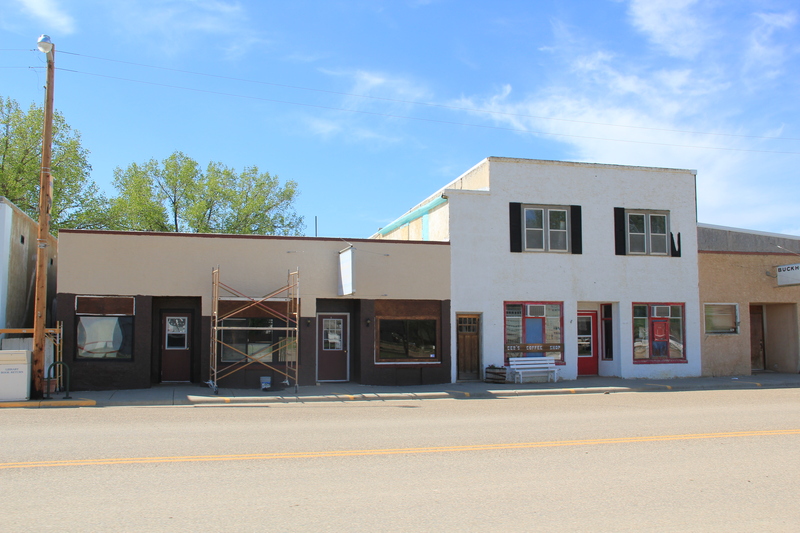 The physical fabric of Ekalaka’s main street was much the same as it had been in 1984, but now there were more shuttered buildings. 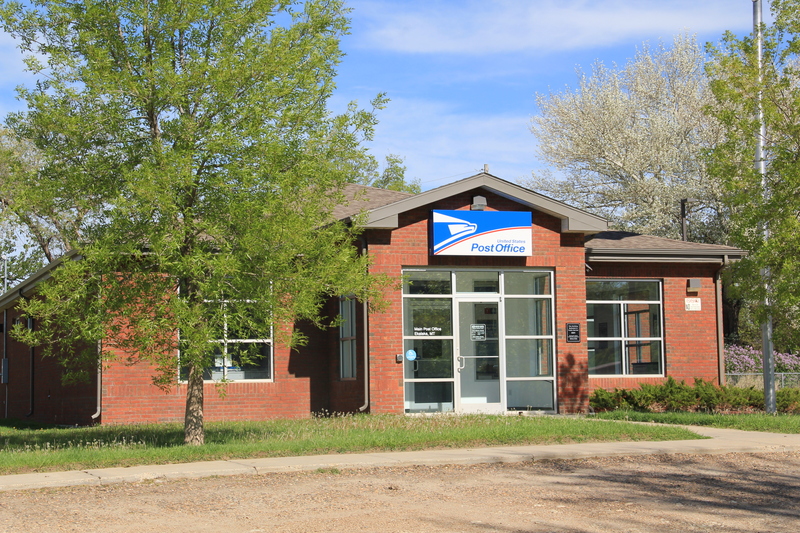 Community landmarks included the combination town library and Masonic Lodge building from the first half of the 20th century and the new post office from the first decade of the 21st century. 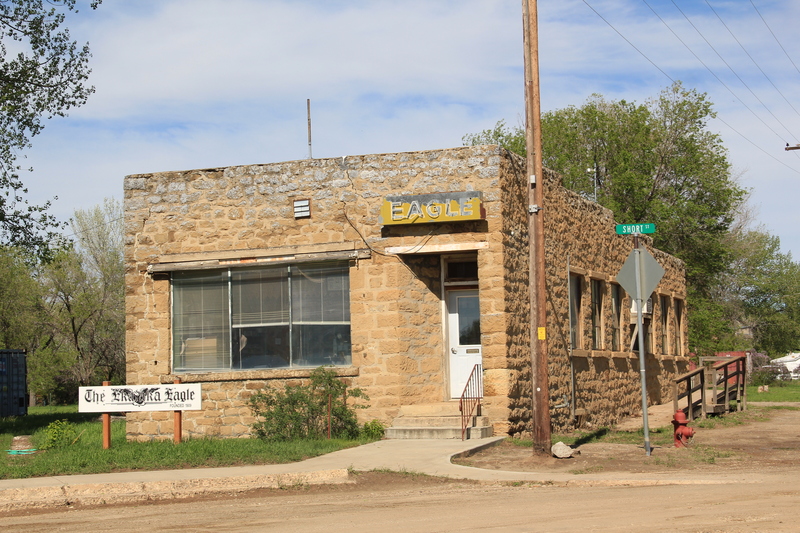 Deb’s Coffee Shop, the Guest House, and the Mainstreet grocery are still-going concerns while the most obvious commercial landmark–the old Eagles Lodge building–is home to the Ekalaka Eagle, one of the oldest small-town newspapers in the state, almost as old as the town itself. Carter County in 2013 did not have a property listed in the National Register of Historic Places, and the Eagle Building appears to meet the register criteria, but you could also consider the whole commercial area as a historic district for how it still reflects a rural county seat of the 20th century. 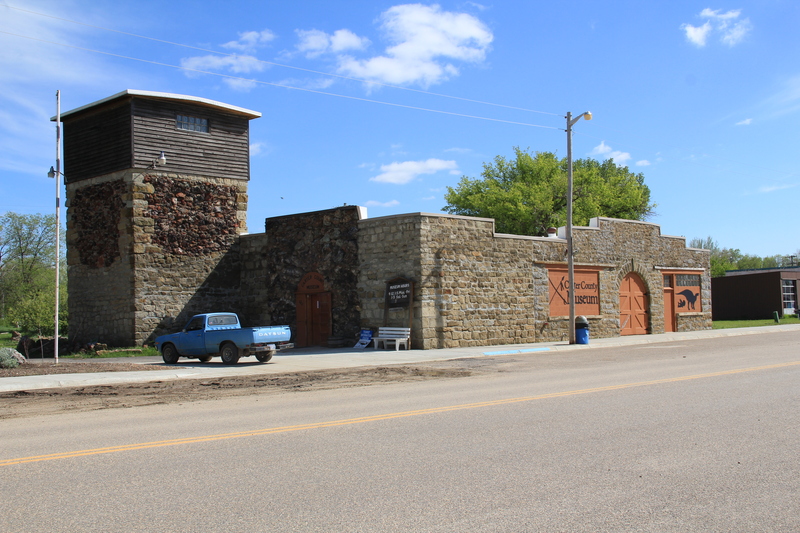 Other historic properties abound in Carter County, from the Medicine Rocks north of Ekalaka to Camp Needmore–an old Civilian Conservation Corps camp–south of town in the Custer National Forest. More on those landmarks in later posts. I am still not finished exploring Montana’s southeastern corner.